We have just tested new serious interactive games. These games are focused on pelvic floor muscle training and aim at tackling urinary incontinence, as well as mobility and cognitive impairments. The games are TV-based and inertial sensors are placed in specific parts of the body to monitor movement in real time. 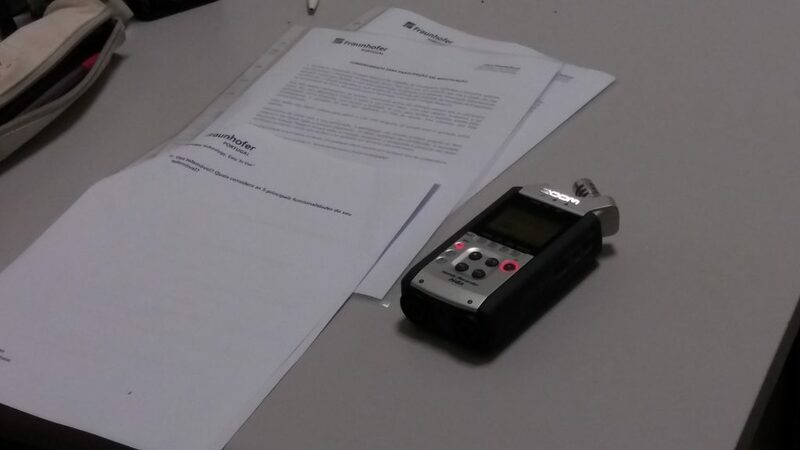 COLABORAR volunteers participated in the testing phase of this project, in which a masters’ student from Multimedia Communication added an important contribution and, on the other side, he used the work within this project as part of his masters’ thesis to submit to the university. Thank you to all volunteers who participated! COGNISTIM is a new project under development at Fraunhofer Portugal AICOS. COGNISTIM is a mobile application combined with special glasses and it enables seniors to experience virtual reality through stimulation games. These games were designed to stimulate both physical and cognitive systems of older adults. We have a Master’s student from the University of Coimbra doing his master´s thesis within this project. The student developed the app and now he is testing it with COLABORAR volunteers. 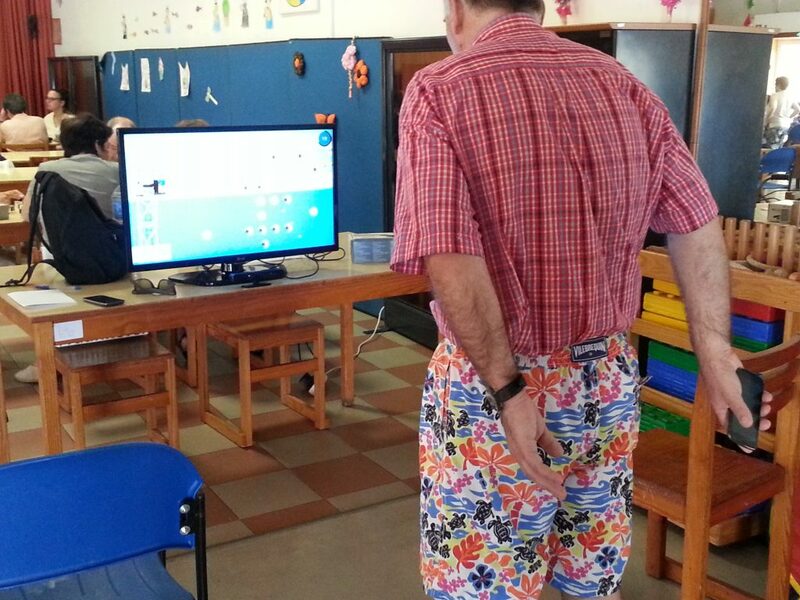 We brought the equipment to a day-care centre and it was amazing to provide older adults with a totally new experience. These tests were great! 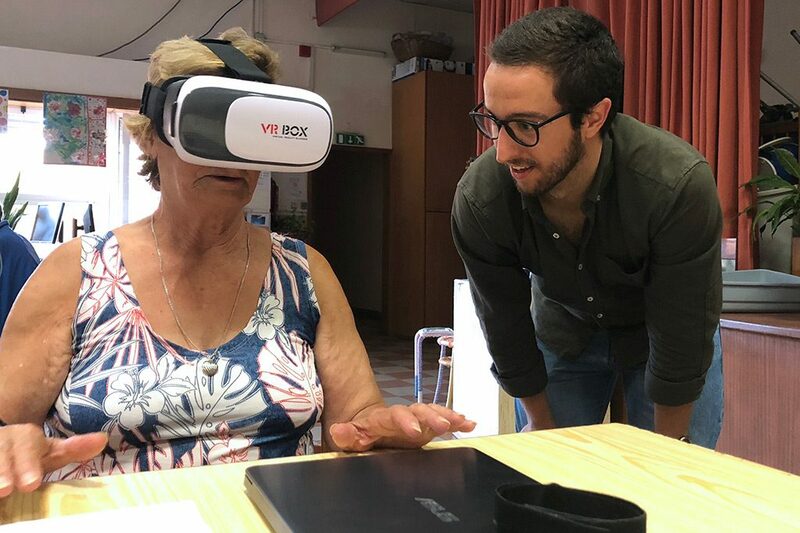 We hope to introduce more seniors to virtual reality soon! A new application for the SmartCompanion system is being tested. A low-fidelity prototype, that is to say a paper prototype, is being presented to older adults in the network. 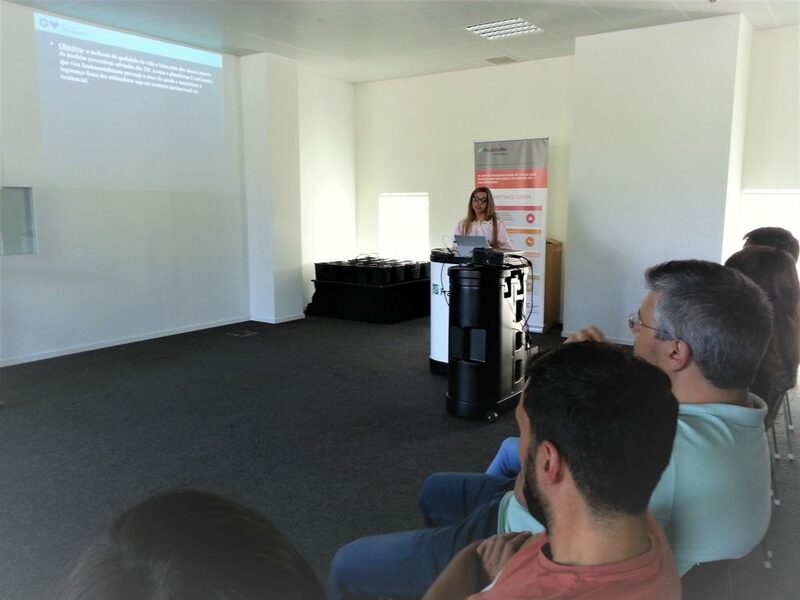 We invited participants to our Living Lab at Fraunhofer Portugal AICOS and expect to know their opinions. After these tests, the student will implement the application in the smartphone. In thelast few years, research on activity monitoring and exercises for falls prevention has been developed at Fraunhofer Portugal AICOS. Recently, we have a student who has been developing her master thesis in this area. Now it’s time to make some tests. COLABORAR recruited a group of volunteers to help us out in this important task. 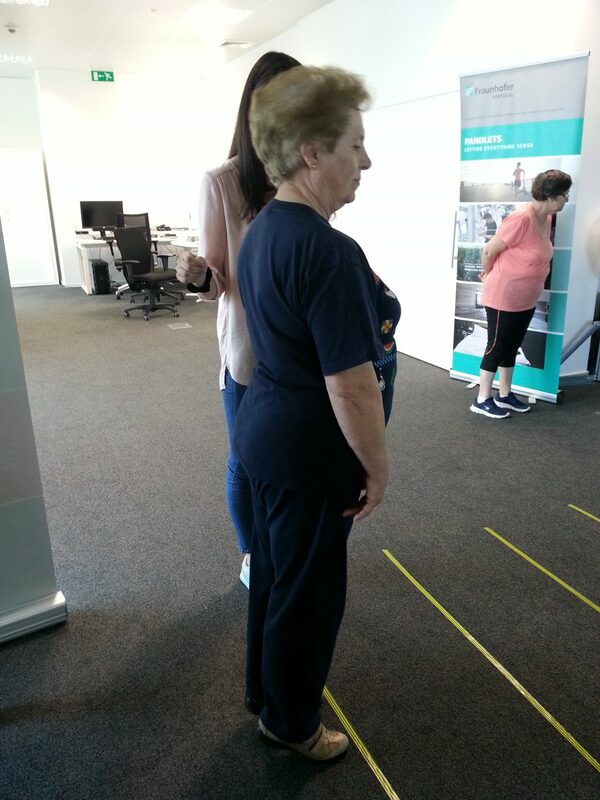 Volunteers participated in this research activity by performing walking exercises. Thank you to all participants for giving us your time and for being part of the research. Researchers at Fraunhofer AICOS are working in a new application to be integrated in the SmartCompanion system. We have in our team a student from the Faculty of Engineering of the University of Porto. She is carrying out field work, namely interviews with older adults within her work of user research. The student will be using the insights to build a smartphone application and she is applying human-computer interaction principles in her work, specifically for the elders, since the user interfaces of this app should be simple and easy to read to the user. We expect to test the prototype with volunteers in the network very soon! Smart Companion, the android customization for smartphones targeting older adults, enables the collection of data related to physical activity. In order to provide an easy and effective way to analyze the data collected, a web application was developed. Then, tests with possible end-users was carried out so to verify that the user easily catches relevant information from the application. Participants answered to a questionnaire about the habits of the predefined Smart Companion users. This work was carried out in the scope of the master thesis entitled “DActivPR – Daily Activity Pattern Recognition Tool“. 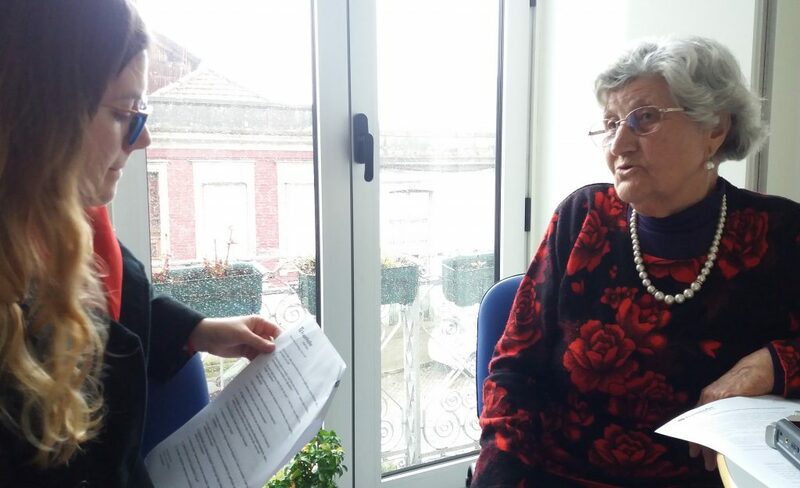 In the scope of DEMind, Fraunhofer Portugal AICOS supported a Master’s thesis from the Master Course in Community Intervention – Area of Specialization: Active Ageing, of Escola Superior de Educação de Paula Frassinetti, entitled “Active aging: the support of information and communication technologies and social support networks”. 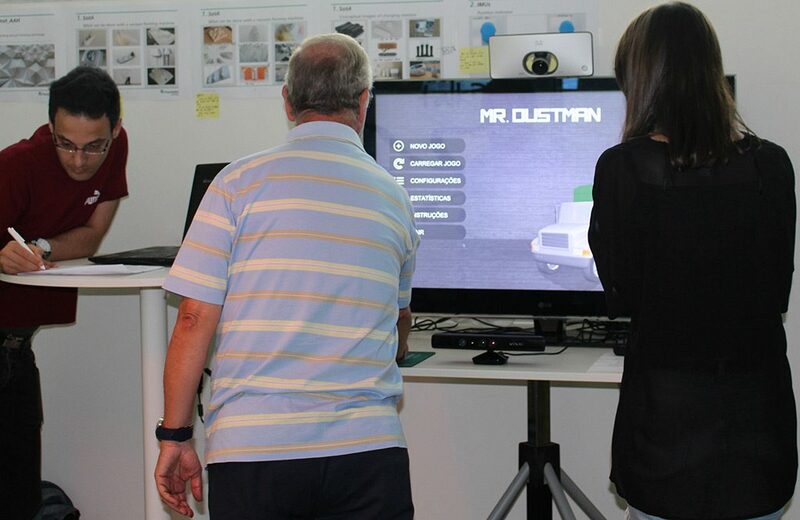 Among Fraunhofer‘s projects, the Exergames was selected, since it is a platform of physical exercise games for older adults, enabling them to stay active, preventing their risk of fall. Troughout COLABORAR, the ExerGames platform was integrated in the weekly plan of a day-care centre in Porto. Participant observations of the activities enabled the student to collect information regarding the implementation of a new activity for seniors with Information and Communication Solutions. Then, the acceptance of the technology was assessed, as well as its usability and user satisfaction. Finally, the student presented her work within her Master’s thesis for Fraunhofer‘s researchers. Her study is very interesting because it shows the perspective of the Social Education about the ExerGames in activities for older adults. We have received excellent feedback from users regarding ExerGames. These games are being available for users from a day-care centre in Porto, partner institutional in the scope of COLABORAR. Activities with the application were included in the weekly activities planning of the centre. 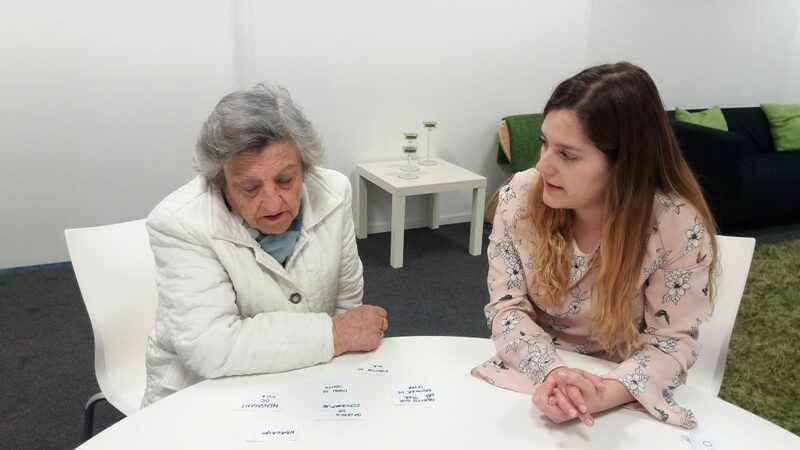 A doctoral degree student and a master degree student have been accompanying the process of introducing a new activity for seniors based on Information and Communication Solutions. Non-participant observations were carried out troughout several weeks, as well as questionnaires for initial and final assessment. The information collected will enable the doctoral student to develop a dissertation about the aspects involved in customer experiences of Ambient Assisted Living Technologies and the master student the role of Information and Communication Solutions in active ageing. Thank you to participants who took this challenge from COLABORAR! 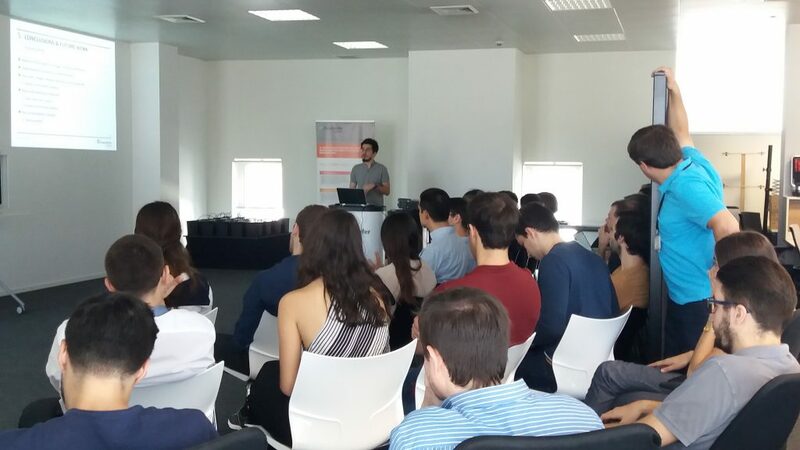 The master students who choose to develop their theses at Fraunhofer Portugal AICOS this year, have just presented their work. Fraunhofer organized a workshop in which each student made a presentation about the work carried out within the theme of the master thesis. Then, students discussed the work with researchers. Later, Fraunhofer welcomed students in a demonstration session. The prototypes are ready and students proudly showed the solutions they developed during the semestre, along with a flyer for each project. COLABORAR congratulates all students and is happy to see them succeed in constructing solutions for a better future.